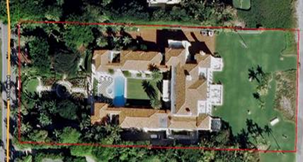 Last year, the lush, finely coiffed estates along Billionaires Row – a 2-mile stretch of oceanfront real estate in Palm Beach – used more than 90 million gallons of water, a little more than 100 average homes in West Palm Beach would use in 10 years. As the record-breaking drought has persisted and water restrictions tightened, many of those estates increased their use of water, according to a Palm Beach Post analysis of residential water bills in West Palm Beach and Palm Beach. Take Terry Allen Kramer, philanthropist, Broadway producer and the biggest residential water consumer in West Palm Beach or Palm Beach. Kramer used 247,588 more gallons in May than in April, even though municipalities were supposed to start enforcing twice-a-week watering restrictions April 1. Kramer has received two warnings from the town about watering at the wrong time. She could not be reached for comment. Only one of Palm Beach’s top 10 users reduced water consumption from April to May – shopping mall developer A. Alfred Taubman, by 5.6 percent. Six of West Palm Beach’s top 10 residential water users also failed to turn down the tap. Former Palm Beach Post editorial cartoonist Don Wright and his wife, Carolyn, doubled their consumption in May after installing new sod and landscaping in March. Bugs had destroyed the lawn at their waterfront home on South Flagler Drive. New plantings are allowed additional watering times for 90 days. "If I had known the drought would go on like this, I would not have replaced all of this," Carolyn Wright said. "We’re in total compliance now." Just around the corner, Michele Borislow’s front yard looks like a manicured fairway. Borislow said she was aware of the drought but did not know how many times a week her yard was being watered. In May, she used 36,652 more gallons of water than in April. "We have a couple of guys who manage the property," Borislow said. "I just don’t know." The average residential customer of the West Palm Beach Utilit ies Department – which supplies water to West Palm Beach, Palm Beach and South Palm Beach – uses about 9,000 gallons a month. Exclude Palm Beach, and the monthly average drops to 6,700 gallons. Most of that is for irrigation. Compliance with restrictions has stymied water managers, who have tried for months to get word out about the drought. "I don’t know how anyone living in South Florida could not know that we are in a drought condition," said Peter Kwiatkowski, a water resource manager at the South Florida Water Management District. "We rely on our local governments to conduct compliance and enforcement." The West Palm Beach Utilities Department, which has been more severely affected by the drought than other Palm Beach County utilities because it is the only one that relies mostly on surface water, went to even more stringent one-day-a-week watering restrictions Monday . Palm Beach has been far more aggressive about education and enforcement than West Palm Beach. A blinking road sign in the median of dead grass on North County Road in the town warns drivers about the drought. The town has issued 245 warnings and five citations since the drought began, including four warnings to the town’s top 10 residential water users. Those four are polo patron Victor Vargas; evangelical philanthropist Nancy DeMoss; Stephen Schwarzman, chairman of The Blackstone Group; and Kramer. Meanwhile, West Palm Beach city commissioners gave utility workers, police and even themselves authority to issue warnings last week. Still, only two warnings were issued during the week, and since the drought began there have been no citations and only 19 warnings issued. The city also has declined to impose a surcharge on excessive water use as a deterrent. Even when warnings and citations are issued, many users pass the blame on to their landscape company. "Snowbirds and those with large estates that are managed by landscapers may not even be aware of how much water is being used on their properties," West Palm Beach spokesman Chase Scott said. "It is the responsibility of the maintenance people to inform the owners and to adjust water use during this severe drought." Scott Lewis, whose landscape company has managed estates on Palm Beach for more than 30 years, sent letters to his clients when the drought started and again when stricter water restrictions went into effect. However, programming timers to comply with the restrictions is not easy, Lewis said. About 4 p.m. Thursday, several Palm Beach homes were watering, exactly 12 hours after the correct watering time, possibly an indication that the timer was set to p.m. rather than a.m.
"In defense of the gardener, a lot of these systems have gotten very complex," Lewis said. "Most people could not set their own timers." Leaks also can be an explanation, but not an excuse. Enrique A. Tomeu, West Palm Beach’s second-largest residential water customer and the builder of a controversial water reservoir west of the city, didn’t notice the spike in his water bills over the last year because his office staff paid the bills, said Ernie Cox, a spokesman for Tomeu. When Tomeu finally saw a bill, he was shocked. He discovered a leak in one of his two pools, Cox said. In March, the month after the repair, his water use dropped by 277,508 gallons. "This is certainly not a list he wants to be on," Cox said. "He is abiding by the water restrictions." Water bills are public records because West Palm Beach is a public utility. The bills of several city officials show they, too, have not cut back. In May, Mayor Jeri Muoio’s water use increased almost 1,500 gallons from a month earlier, and City Commissioner Ike Robinson’s use jumped by 2,244 gallons.